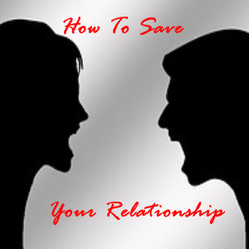 There are many ways how to save a relationship depending on what is wrong with it, or you can start doing the things that will make it stronger now before you have any problems. If you took the time to get into the relationship then there must have been some feelings that are worth saving now. It may be time to do some soul searching and decide what you want fron the relationship and life in general. First you need to decide if it is worth saving, has something happened that there is no recovering from like cheating. If someone cheated then the trust has been damaged and this is the hardest thing to fix, you may never be able to bring it back to the level it once was at. If it was something easier like not talking or arguing all the time you should have better success repairing this, it all comes down to communication in the beginning. You had to communicate to build the relationship and you will need to continue doing it to sustain the relationship and especially to fix it. If nothing is wrong yet then this is a good time to start working on it and prevent the problems from happening at all. Talk to each other and see what you are feeling, get down to what the problem really is and find a solution that you are both happy with. A good relationship takes compromise to work, this is something you both have to do and talking it out helps. A good relationship needs the same work a garden does, you have to plant the seeds and water them to grow. As they get tall you have to support them to sustain their own weight, see where I am going with this. Your relationship needs care and support to grow as well. It is actually pretty easy to have a good relationship once you know what is needed, at that point the things you do together bring you closer and make it stronger. Arguing does nothing towards fixing the relationship or the problem, instead of doing this you should sit down and talk things out. Unfortunately in some relationships the only form of communication is arguing, you need to change this before you can start to work on other problems. Learn how to communicate with out yelling or being rude to each other, a little love goes a long way. There are many different ways to repair a relationship depending on what is wrong, I like to fix it before it breaks. This means learning how a successful relationship functions and what it needs to work, then doing this all the time. There are many ways to research things online, I worry about this sometimes and would rather get a book about it and go from there. What you read online may be less then truthful and make things more complicated. Here are three good choices to help you to have a loving and caring relationship together, remember you have to do what you learn. Just knowing it does not solve the problem. There are things every relationship need, if you are talking about a loving one then you need to continuously work on these things to make it better. If you have these then you are off to a good start, take time to make them better and show your mate how much you appreciate them. If you do not possess one or more of these things then learn about it and incorporate it into your relationship to start improving it before any problems start. When you have a successful relationship you have a better chance of growing old together, I love when I see a couple that has been together for 40 or more years. It gives me hope and shows me that this kind of love is still possible, times are different today and it is much harder now to be with someone for 40 years then it use to be. You have to really want it and then be willing to do the work everyday of your life, you just do not see this sort of commitment in the younger generations. They do not even want to work today thinking they are owed something. Growing old together has advantages, you know your partner very well and the trust is strong. You know the person you are with loves you and you can count on them to be there if you need help, on the same note you are there if they need you. iggy, Very nice! I always have loved Robert Browning's "Grow old along with me! The best is yet to be, The last of life, for which the first was made."